This hardback book had seen better days -- but now it's a blank journal just waiting for your thoughts to fill it up! 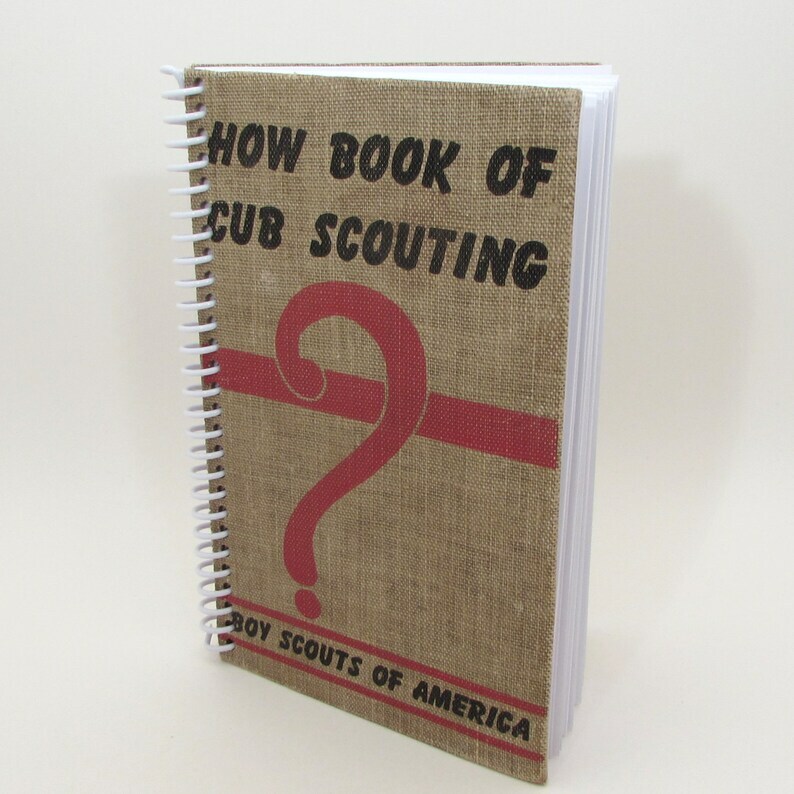 50 sheets of blank white paper are spiral-bound between the covers of "How Book of Cub Scouting". Makes a great Eagle Scout gift! Each book cover and all the sheets of paper are hand cut, punched, and bound by me. I choose books which have clearly outlived their usefulness -- either because their pages or spines are in poor condition, or because their content is outdated. This journal measures 4 3/8" x 7" x 3/8", not counting the spiral. Please refer to the photos to see the condition of the book covers.